One of the things that really affect the message your headshot sends is what you are wearing. It affects the brand you portray to your client. Being over or under-dressed creates a disconnect that makes your clients pause and subconsciously question your suitability. As photographers we think about this every day, but more than likely it’s not something you would consider regularly. So when you contact us to create your profile photograph, we spend time learning about your profession and where you fit in your marketplace in Sydney. Using this information we guide you and make recommendations on what to wear to deliver your message most effectively. You’ve undoubtedly spent a lot of effort selecting a color scheme and the look and feel of your logo and your website. 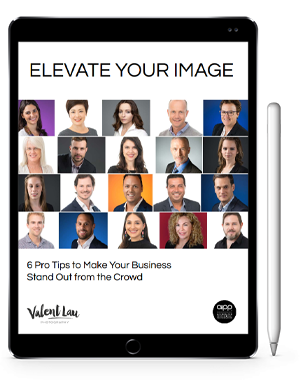 Your profile photo is one of the cornerstones of your website. What you wear is an important element to consider. It must feel natural and not call attention to itself. It must support and not detract from the focus of the headshot. We discuss with you in depth to make sure we make the best decision. A simple change in dress, lighting, pose, and expression can completely change a portrait photograph and what emotions it evokes. This completely changes the industry which it is suitable to use in. What you wear also affects other parts of the photo session. For example if you want a blue background, it won’t work as well wearing a blue jacket. If you wear a t-shirt, it’s hard to look serious. Most people don’t look sporty wearing a 3 piece suit and vest. When you contact us to create your profile photograph, we discuss with you your type of business and where you wish to be positioned in your marketplace and your location within Sydney. We then select the right clothing to create an image of professionalism and trustworthiness in the viewer’s mind. The clothing works together with the colors and poses to create a consistent story of capability, which gives you a head start to gain the client’s confidence. How much would that advantage be worth to you?